The Wall Street Journal reported that Iranian hackers have successfully penetrated unclassified US Navy computers, the allegations were made by US officials that consider the attacks a serious intrusion within the Government network. "The U.S. Officials said the attacks were carried out by hackers working for Iran's government or by a group acting with the approval of Iranian leaders. The most recent incident came in the week starting Sept. 15, before a security upgrade, the officials said. Iranian officials didn't respond to requests to comment." US officials revealed that a group of Iranian state-sponsored hackers have repeatedly violated US Navy computer systems for cyber espionage purpose, despite no sensitive information has been leaked the event is considered very concerning. US Intelligence fears that such attacks could expose confidential information like the blueprints of a new cyber weapon. US officials added that Congress has been briefed on the attack, Defense Secretary Chuck Hagel and Chairman of the Joint Chiefs of Staff Gen. Martin Dempsey discussed on the necessity further improve government network security. "The Pentagon wouldn't confirm the alleged Iranian hacks. A department spokesman said its networks are attacked daily. We take these attempts seriously and work to learn lessons from every one of them," the spokesman said. "Their ability to also play in this [cyber] sandbox compounds that concern," "The series of Iranian intrusions revealed a weakness in the Navy network and a shortcoming in the service's defenses compared with other unclassified military networks, according to U.S. Officials. Once the intruders got into the Navy computer system, they were able to exploit security weaknesses to penetrate more deeply into the unclassified network, the officials said." 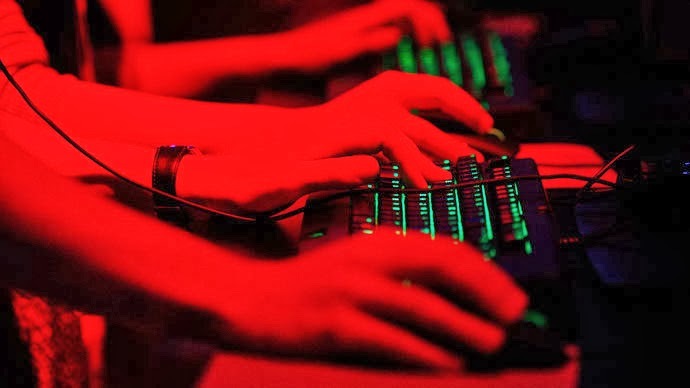 Iran’s cyber abilities have increased gradually reaching a concerning level, US Intelligence believes that Iranian cyber units today have sufficient cyber abilities to attack the US causing serious damages to the critical infrastructures of the country. The situation is very serious if we consider that the foreign hackers could sabotage the critical infrastructure using malicious code and tools freely available on the internet and purchased in the underground. The study “Iran: How a Third Tier Cyber Power Can Still Threaten the United States” (PDF), published by the Atlantic Council sustains that despite the Iranian cyber capabilities are considered modest, they could be sufficient to launch attacks against the US that would do more damage to public perceptions than actual infrastructure. The Iranian menace continues, Iranian state-sponsored hackers already hit US in the past the US major banks and energy industry computer networks, but if the event is confirmed there is the concrete risk that the cyber conflict may escalate. The cyber war between US and Iran started a long ago, US in a joint effort with Israel is considered responsible for the sabotage of Iranian uranium enrichment facilities made with a cyber weapon known as Stuxnet. Cybersecurity experts are not concerned only by Iran, most dangerous players in the cyberspace like China and Russia that have more sophisticated hacking capabilities than Iran. The conflict between US and Iran is ongoing in the cyberspace and could have serious repercussions on the diplomatic dialogue established between the two governments, a cyber attack could have the same effect of a conventional strike ... This could be just the beginning.